Chhaya specializes in International Business Development. With 20 years of international professional experience, mainly in India, Europe, Middle-East, Chhaya Mathur Saint Ramon has developed a vast expertise in facilitating international business development. As the founding member and CEO of Business-Implicits, a Multi Service Platform for Indo–French Business Needs, Chhaya works regularly with French and Indian businesses on several fronts, be it organisational, strategic, marketing or Human Resource related. 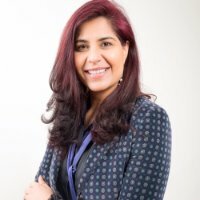 Chhaya is an active member of professional and cultural organisations such as European Professional Women’s Network (EPWN), Femmes Business Angels, The Euro-India centre, The Indian Professional Association and the Alumni Association of ESCP, Paris.